If you suffer from severe arthritis pain and stiffness, a total hip replacement surgery may be your solution. 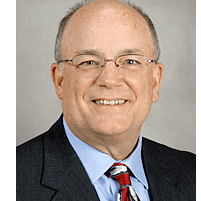 UT Physicians: Brian S. Parsley, MD is a board-certified orthopedic surgeon with more than 25 years of experience specializing in hip replacement surgeries. Based in Bellaire, Texas, Dr. Parsley helps patients dealing with chronic arthritis symptoms and hip pain. Schedule a surgical consultation by calling or using the online booking tool. What is a hip replacement surgery? A hip replacement surgery — called hip arthroplasty — is a surgical procedure for the removal of damaged cartilage and bone within the hip joint. Dr. Parsley uses prosthetic devices to replace damaged bones and allow for better range of motion without pain. Dr. Parsley performs partial and total hip replacements with traditional and minimally-invasive surgical methods. He determines which type of surgery is right for you based on the severity of damage to your hip joint, including the amount of pain you experience and the overall function of your hip joint. Who can benefit from a total hip replacement? Depending on the extent of your arthritis and overall health, Dr. Parsley may recommend a two-incision approach or an open surgery to repair the damage to your hip. Do I need a hip replacement surgery? If you experience severe hip pain and loss of joint function, including stiffness and an inability to bear weight, Dr. Parsley may recommend a hip replacement surgery. To determine if you’re a candidate for surgery, Dr. Parsley completes a thorough consultation and exam, including X-rays and possibly an MRI, to understand the extent of arthritis in your hip. You may need to prepare for surgery by losing weight or doing a series of physical therapy visits to strengthen your muscles before your procedure. Dr. Parsley outlines what preparation is needed and provides extensive after-care instructions to follow once your surgery is over. Before your surgery begins, Dr. Parsley puts you under anesthesia. Depending on the procedure recommended — whether a traditional or minimally-invasive surgery — Dr. Parsley makes the appropriate incisions to access the surgical site. Once Dr. Parsley views and assesses the surgical site, he uses specialized tools to remove cartilage and bony debris from the joint and then resurfaces your bones. He places prosthetic devices over the ball and socket of your hip joint and secures them with cement for a comfortable fit. When the surgery is over, Dr. Parsley closes the incisions with surgical tape or stitches. Total hip replacement surgeries generally last two hours. You’ll need to recover in the hospital for a day or more afterward before you can return home to recover. For more information on Total Hip Replacement, please click here. Set up a hip replacement consultation with Brian S. Parsley M.D. by calling the office or booking online.